As per census South Tripura has a population of 876,001 in 2011 out of which 447,544 are male and 428,457 are female. 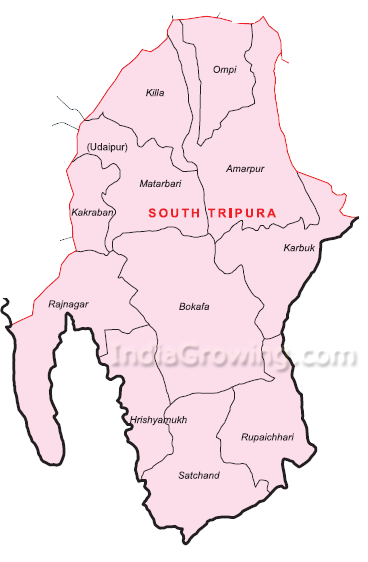 Expected population of South Tripura in 2019 is between 972,362 and 1,138,802. Literate people are 646,810 out of 351,082 are male and 295,728 are female. People living in South Tripura depend on multiple skills, total workers are 366,845 out of which men are 253,229 and women are 113,616. Total 72,477 Cultivators are depended on agriculture farming out of 60,730 are cultivated by men and 11,747 are women. 66,460 people works in agricultural land as labor, men are 50,401 and 16,059 are women.